Boardman Bikes is an independently owned, performance based British bicycle brand that was founded by professional cyclist Chris Boardman and Alan Ingargield and Sara Mooney. Boardman bicycles were first launched in Ireland and the United Kingdom in 2007 and promised to give riders the ultimate riding experience. From the start, Boardman Bikes has created bicycles that give great riding performance standards and do exactly what is expected of them. Boardman bikes are designed to a high specification with extreme attention to detail and only the best materials to guarantee excellence. The cycles utilise the world’s best materials and design technologies, including high quality alloy and carbon fibre material to create light, super-strong bicycles that keep with the brand’s core values of highest level of performance, great design and superior quality for optimum performance. The bikes undergo rigorous testing and surpass stringent EN testing standards. Boardman bicycles are comfortable, fast handing and give great acceleration, which are values that have seen them win numerous accolades in major championships. Christopher Miles Boardman, the brand’s premier ambassador broke the word hour record three times and won Olympic gold at the1992 Barcelona Olympic Summer Games riding a new trend-setting "super bike". Other riders who have advanced Chris Boardman’s successes with the Boardman bikes include 2009, 2011 and 2012 ITU Triathlon World Champion Jonathan Brownlee who also won the 2010 and 2011 ETU Triathlon Championship and Pete Jacobs of Australia who won Silver medal at the 2011 Hawaii Ironman World Championship. Boardman Bikes range includes road bicycles, mountain bikes, cyclo-cross bicycles, single-speed bicycles, time trial bicycles and hybrid bicycles. Boardman Performance bicycle range produces the Pro, Comp and Team levels that utilise alloy and carbon fibre frame designs. Boardman Elite range include the Elite Mountain (EM), Aero dynamic Racing (AiR), Aerodynamic Racing Time Trial (AiR/TT) and Superlight Racing (SLR) series that utilise forks, seat posts and high grade UD carbon fibre frames. 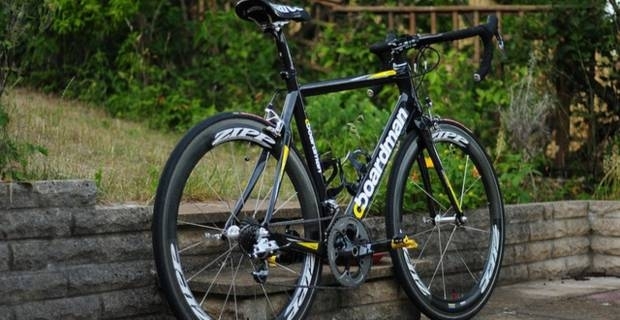 Boardman female informed (fi) range of bikes was added to the impressive line-up of Boardman bicycle products in 2010. The fi bikes utilise specially designed components and frames to meet the needs of women cyclists. Boardman Bikes have a reputation and appeal spanning across the world that speaks for itself. Their top-quality bikes have won numerous National Championships, European titles and Olympic medals, which has made the brand a leading bicycle brand. Amateur and professional cyclists from different nations take pride in the exciting range of Boardman accessories and bikes inspired by a true British cycling legend.